Installing a new layer of CDX plywood ontop of the existing vinyl so we can nail down the Oak flooring. Since fine patch work to make sure the floor never creaks. One thing I love about the Willoughby Ave project is the 1958 building with it's simple concrete construction. 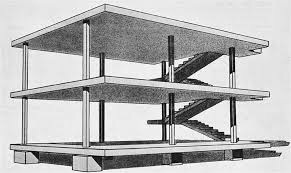 It adopts a system based on Domino principles: an open floor plan structure designed on a grid of columns, developed by architect Le Corbusier. The entire structure of the Willoughby Walk Coop is a grid of concrete columns holding 8" concrete slabs. 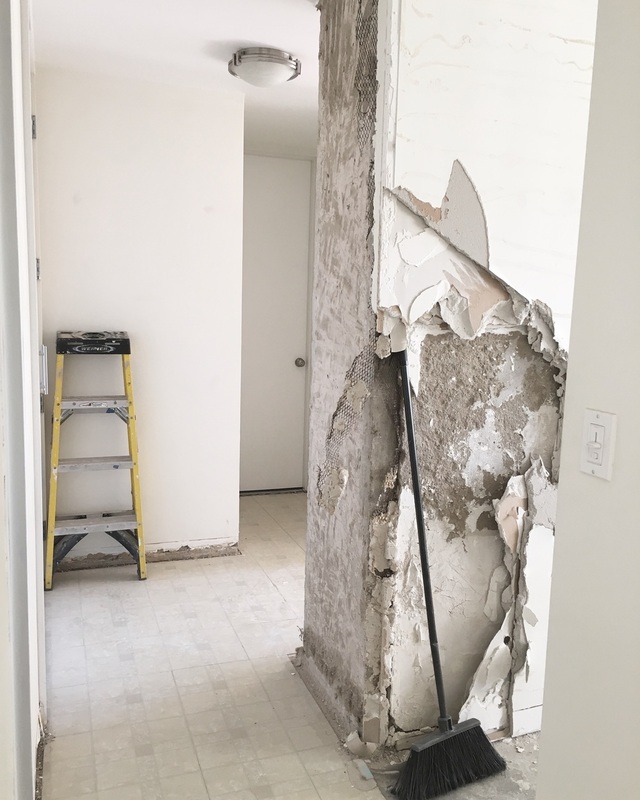 All the interior walls are non-structural partitions made of plaster blocks, and therefore can be reconfigured indefinitely without effecting the buildings structural grid. The columns are 24" square and have an almost pinkish hue to them from the aggregate that was used. 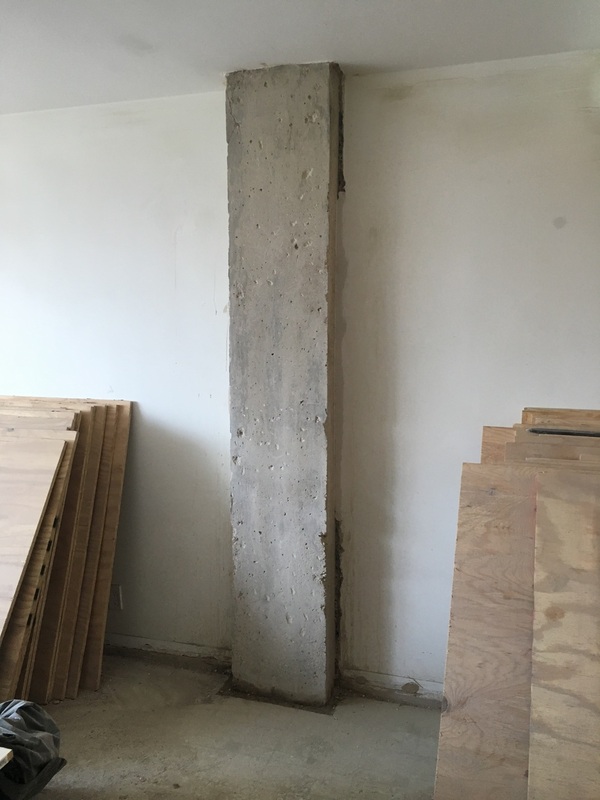 To celebrate the beauty of the concrete, we are exposing two of the columns by removing 4 layers of Sheetrock and wire mesh. After some hammer drilling, grinding and wire brushing, the column can breathe again! This column near the entryway is engaged (partially inset into a wall) so we can only see half of it. 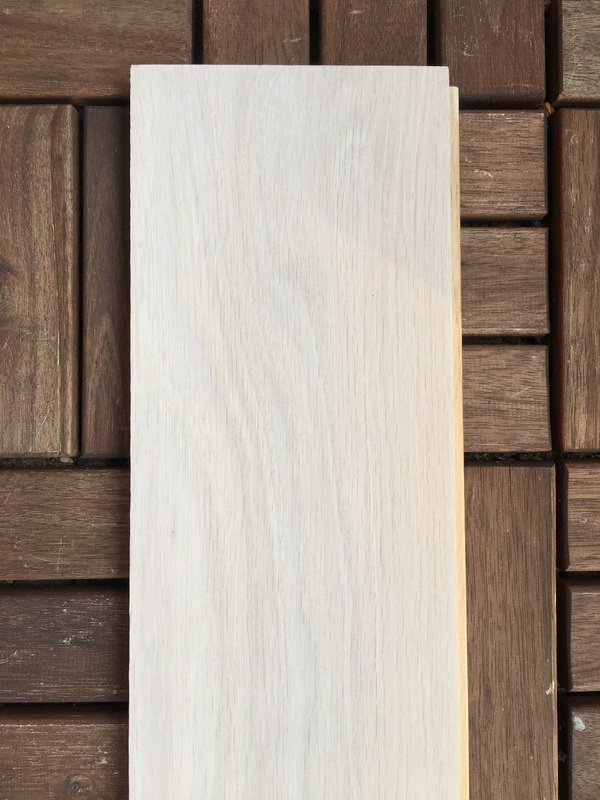 Arriving on site is the 4" and 5" solid white oak that will replace the existing pergo flooring shown below. Behold 1100 sqft. of solid unfinished white oak in 4 and 5" widths. We spent a good amount of time testing whitewash finishes, but decided stay natural and do a matte clear coat. For the record, The best whitewash finish with low-VOC was SamaN whitewash (a Canadian company) that had incredible coverage after just one coat. Highly recommended! Our family recently upgraded to a 2-bedroom apartment in the Willoughby Walks Coops in Clinton Hill, Brooklyn after simply outgrowing 570 sqft. We lived in Casablanca for exactly three and enjoyed it thoroughly, but since our family grew last year, our needs certainly shifted. The new apartment sits 6 stories higher, has southern & western exposures and is twice the size at 1100 sq ft. Follow along as we document our on-going projects, discoveries and inspirations.